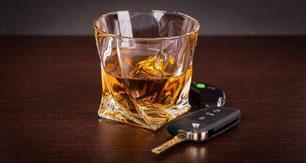 The Circuit Court of Allen County has established an "Alcohol Abuse Deterrent Program" (AADP). This program provides for the medical treatment of individuals who have a "previous conviction" for operating vehicles after consuming too much alcohol and/or drugs. The treatment is with Disulfiram, or Antabuse, which is a substance that is a chemical deterrent to the use of alcohol. An individual may be placed in the program either pre or post-conviction. Under the pre-conviction scheme the Court, with the consent of the defendant and the Prosecuting Attorney, will conditionally defer the proceedings for up to three (3) years. The Court will not defer the proceedings if the offense involves death or serious bodily injury, if there are other criminal proceedings alleging commission of a felony which are pending against the defendant, if the defendant is on probation or parole and the probation or parole authority does not consent to the defendant's participation, or if the defendant fails to meet additional eligibility requirements imposed by the Court. If the proceedings are deferred and the defendant violates the rules of the Antabuse program or other conditions imposed by the Court, the Court can order the criminal proceedings to be resumed. If the defendant fulfills the Antabuse program and other conditions set by the Court, the Court may either dismiss the felony charges or sentence the convicted person as a Class "A" Misdemeanor. A participant in the Antabuse program must pay the Alcohol Abuse Deterrent Program fees. In addition, there is also a cost of the physical examination required before beginning the Antabuse program and a physical examination may be required annually. Counseling is also routinely ordered. In a misdemeanor case, before conviction, the Court may, with the consent of the defendant and the Prosecuting Attorney, order the defendant to satisfactorily complete an alcohol or drug treatment program. The charges may be dismissed if the treatment program is completed and certain other conditions are met. (IC 12-23-5-1) This program is available to a defendant only one time and may require a suspension of his driving privileges. Prosecutors rarely, if ever, consent to this. A similar treatment avenue exists, in restricted circumstances, allowing a person charged with or convicted of a felony to seek treatment in lieu of further prosecution. (IC12-23-6-1) In order to qualify for this treatment program, one must be an "alcoholic" or a "drug abuser." Additionally, one must submit to a substance abuse evaluation conducted by the Division of Mental Health. Arrangements for this testing is made through the Indiana Family & Social Services Administration, through their Office of General Counsel in Indianapolis, Indiana. The community corrections advisory board or in counties without a community corrections board, a forensic advisory board determine if a person will be allowed to participate in the forensic diversion program. An individual must have either a an "addictive disorder" or a "mental illness" to participate in the program. A person is not eligible to participate in the program if he was charged with a "violent" offense or a "drug dealing" offense. "Violent Offense" is defined in IC 11-12-3.7-6. A "Drug Dealing Offense" is defined in IC 11-12-3.7-3. 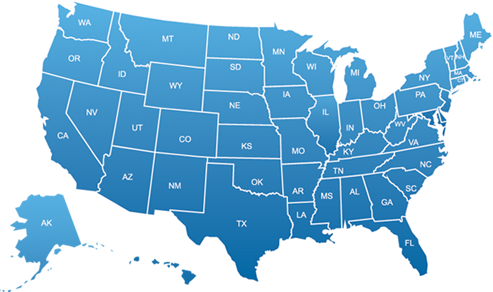 Courts in Indiana are not required to have a forensic diversion program in their county. Lomont v. State, 852 N.E.2d 1002, Ind. Ct. App. 2006 .
shall suspend all or a portion of the person's sentence, place the person on probation for the suspended portion of the person's sentence, and require as a condition of probation that the person successfully participate in and successfully complete the post-conviction forensic diversion program. The Court, however, is not required to suspend all of the person’s executed sentence imposed. To be eligible for the pre-conviction program the offense a person is charged with must either be a Misdemeanor or a Class "D" Felony that may be reduced to a Misdemeanor. The offense charged can not be a violent offense. Additionally, an individual must not have a conviction of a "Violent" offense in the last 10 years. In order to participate in the program the person is required to enter a guilty plea to the charged offense. However, the court will not enter the judgment of conviction while the individual is successfully participating in the program. The program may include confinement in an institution, treatment in the community, or a combination of both. The court will review a report from the forensic diversion program and determine whether an individual successfully completed the program. If an individual successfully completes the program the court will waive entry of the judgment of conviction and dismiss the charges. If the court determines an individual failed to successfully complete the program, the court will enter the judgment of conviction and sentence the person accordingly. To be eligible for the Post- Conviction program an individual must not have been charged with a "violent" or "drug dealing" offense. Additionally, an individual must not have a conviction of a "Violent" offense in the last 10 years. Once a judgment of conviction is entered, the court shall suspend all or a portion of the individual’s sentence and place the person on probation for the remainder of their sentence, with a condition of probation being successful participation and completion of the forensic diversion program. Pilots are required to submit a notification letter to the FAA within 60 days of an "OWI type" motor vehicle action. A separate notification letter is required for each action. An "OWI type" motor vehicle action includes: any suspension, revocation or cancellation of driving privileges and any conviction of an "OWI type" offense. Notice must be sent when your license is suspended due to an arrest for operating a vehicle type offense. In addition, if at a later date a conviction is entered on your record, for an operating a vehicle type offense, a separate notice must also be sent. 5) A statement of whether the motor vehicle action resulted from the same incident or arose out of the same factual circumstances related to a previously-reported motor vehicle action. If an "OWI type" offense is reduced to a conviction for Reckless, Careless, or Negligent Driving, notice does not need to be sent. Those convictions are not considered to be reportable motor vehicle actions. However, the initial suspension for the "OWI type" offense must be reported. In addition to the criminal statutes that make alcohol consumption illegal to persons under twenty-one (21) years of age, IC 9-30-5-8.5 prohibits persons under the age of twenty-one (21) from operating vehicles with blood or breath test results equaling .02 but less than .08 grams of alcohol in their breath or blood. The offense is a Class "C" Infraction. The maximum fine that can be imposed is five hundred ($500) dollars. [IC 35-28-5-4(c))] No jail time can be imposed. However, in addition to imposing a fine and court costs, the court may additionally suspend the minor’s driving privileges for up to one (1) year. Anyone who has been convicted of drunk driving is banned for life from entering Canada. Canada’s Immigration Act classifies anyone with an OWI conviction as a member of an "Inadmissible Class" and their entry into Canada would be a criminal offense. The ban from Canada is for life. A person convicted of an OWI can apply for a permit to be admitted into Canada, five years after all terms of the OWI sentence have been completed. The applicant must show they have been rehabilitated. The application "Minister’s Permit of Rehabilitation" along with evidence is considered in deciding whether the individual should be allowed to enter Canada. It is very important that a driver keeps the Bureau of Motor Vehicles advised as to his present address at all times. If you have any questions concerning your driving privileges, you can call the Bureau of Motor Vehicles at (3l7) 232-2840. This information is reasonably current. However, it is subject to change at any time due to the passage by our legislature of new laws and the ongoing interpretation by our courts of existing laws. This letter should not be considered a substitute for consultation with an attorney.